YES, PLEASE SEND THEM TO ME! 2018 marks the 26th Annual Winterfest of Lights at Northside Park in Ocean City. The park, located about a mile from the Fenwick Inn, is transformed into a Winter Wonderland. Winterfest will be open all December long, and it concludes with a dazzling fireworks display on New Year’s Eve. After parking, you and your family board the Winterfest Express which takes you to all of the fun. 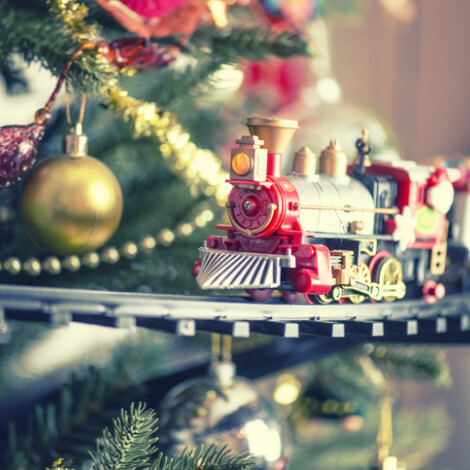 Once you disembark from the holiday-themed train, you will begin your mile-long journey through an incredible display of beautiful lights and displays. Highlights of the 2018 Winterfest include The Wizard of Oz, The Twelve Days of Christmas, Santa’s Workshop, and, of course, a gorgeous Christmas tree. All along your journey there will be familiar Christmas tunes playing to truly get you into the holiday spirit. When you reach the end of the trail, be sure to stop by the gift shop for some hot cocoa and maybe even some gifts for the special people in your life.